The HQ application suite delivers the ability to monitor your entire facility - from workstation specific operator interactions to equipment usage and total non-value added time. 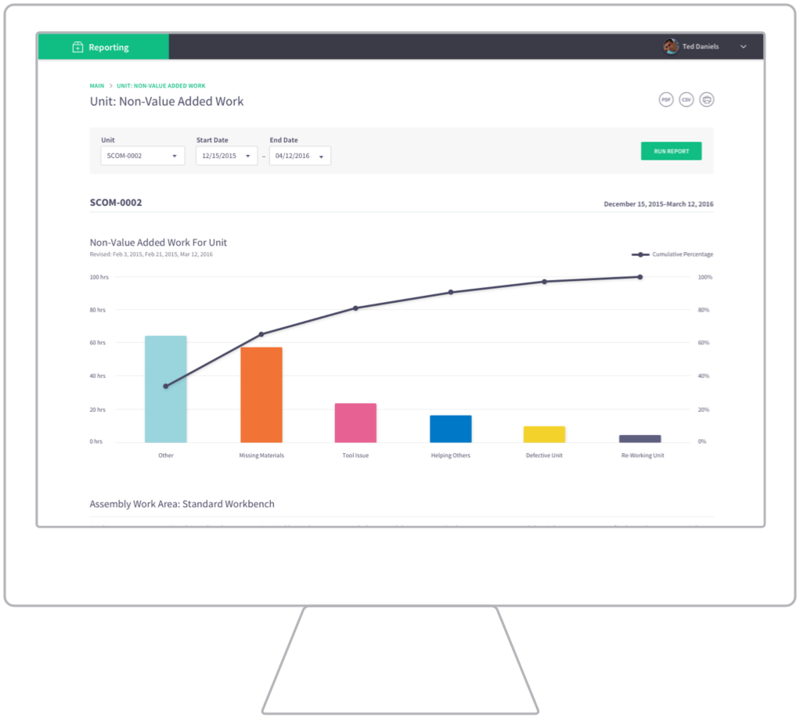 You have the power to create a standard process for building a product, gather live-time data on everything from your operators to your equipment, and be able to generate reports that are useful. All of this can be done from anywhere in the world. See date-specific, relevant reports focusing on stations, units, operators, or machines. Uncover value versus non-value added staff or equipment, specific to jobs or units in production. Let us capture every aspect of your production process… from step-specific average build times to equipment in-cycle times. Discover greater insights through better data collection. 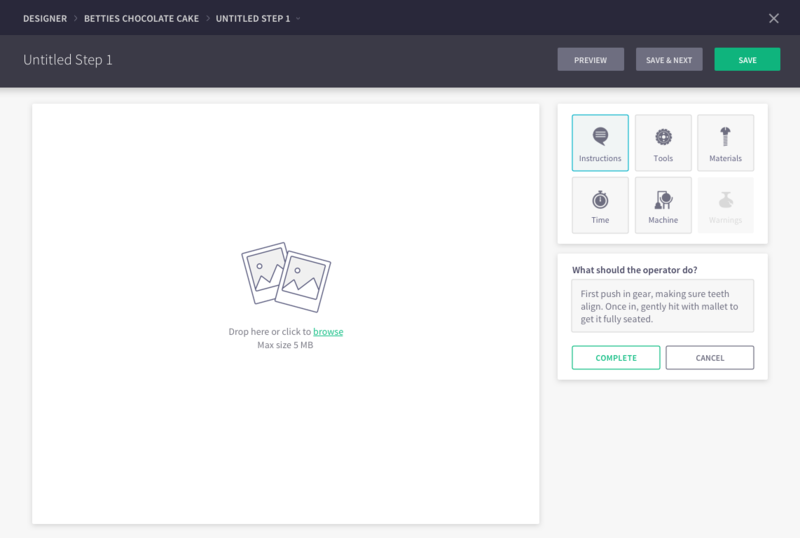 No more waiting for reports, create them with just a few clicks. Quickly dig into meaningful data collected from unit, station, operator or machine. See up to the minute information right now. 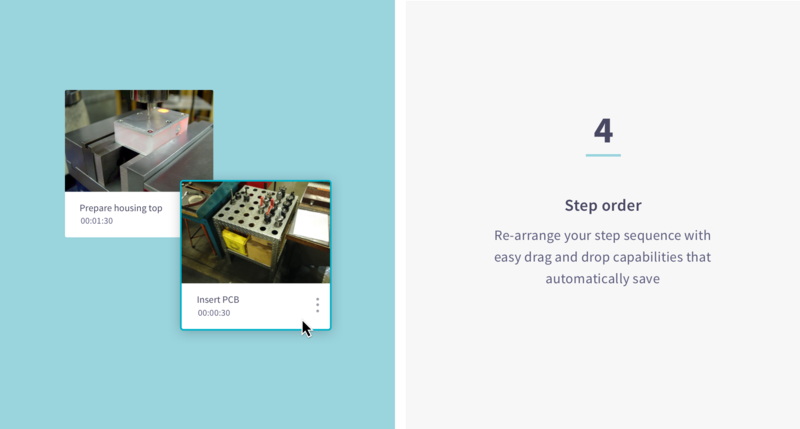 Instantly view areas of waste throughout every workstation of your facility. Uncovering waste is one of the first steps to add value to your standard process. Don’t just take a snapshot of your production. Filter your non-value added work by specific units within a specific date range. Know down to the second just how much time is wasted, and where that time is going. Take a look at specific step times and standard deviation for each step of your build process. Filter by everything from station name, specific operators, individual units, and date range...and then export the results in PDF or CSV format for deeper analysis. Be able to set obtainable production improvement targets due to your ability to identify inconsistent steps in your production. You can learn immediately where to improve your process. Sort your machine utilization report by Machine Type, and then look at each Unit that’s been built on those machines. You’ll be able to see “in-cycle,” “idle,” and “e-stop” percentages, and even narrow down the results by specific date ranges. Clearly see which machines are outperforming others and uncover areas where you might discover opportunities to improve your capacity as a whole. 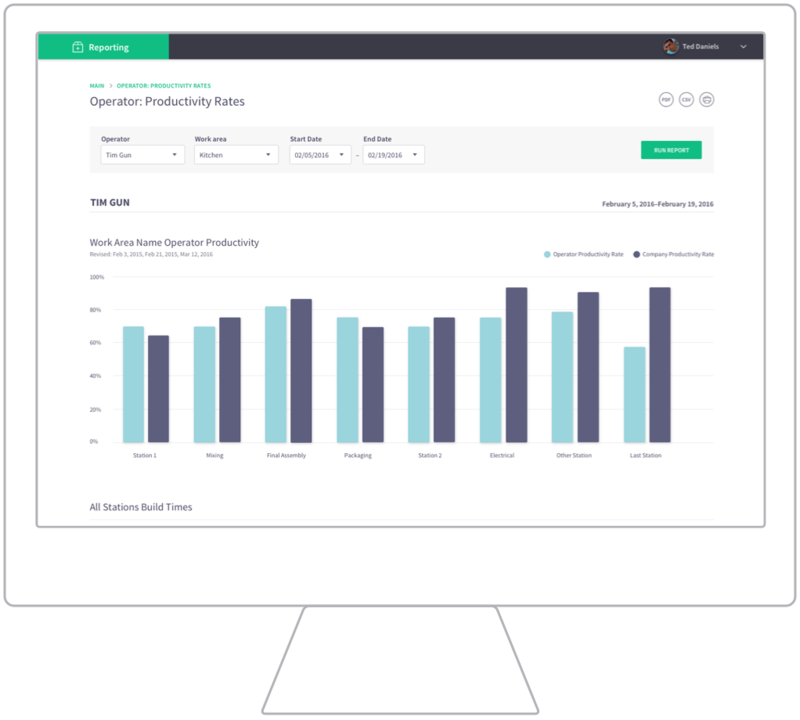 Be able to pull up results for each operator, within any work area, in order to see their productivity rates at every station type compared to the company averages. This provides you with the opportunity to expand their cross-training knowledge. Know where your operators are under- or out-performing throughout different work areas of your facility. Set attainable performance improvements and track the results over time. Know the status of any job in production. 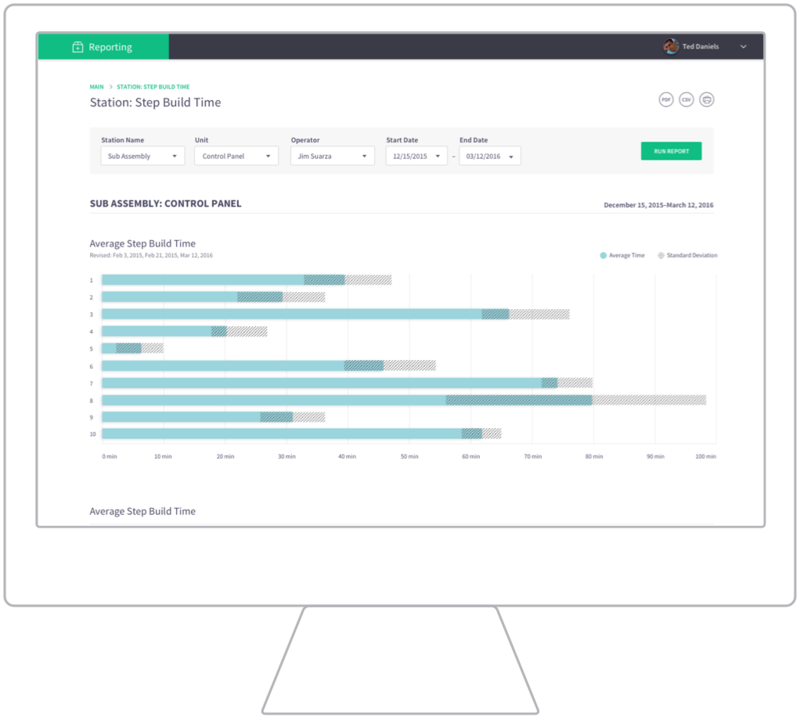 With a glance you’ll know when work orders are predicted to be complete, what operator is working on each job at each station, what the status of your equipment is in live-time, and average unit build times. The Live Production dashboard will alert you if an operator has paused production, or if a machine is currently idle or emergency stopped. Your operations are at your fingertips - you don’t need to walk the shop floor. Know live production status anywhere you have internet access. Live-time status updates for any work order. Know your production status - whether jobs are active, paused, queued or complete. Based on your operator’s productivity rates you can know just how much longer it will take your active jobs to finish. You will see an “alert-orange” status bar indicator notifying you immediately when your equipment is down. With a quick glance you will know if your equipment is Active, sitting Idle, or in Emergency Stop mode. 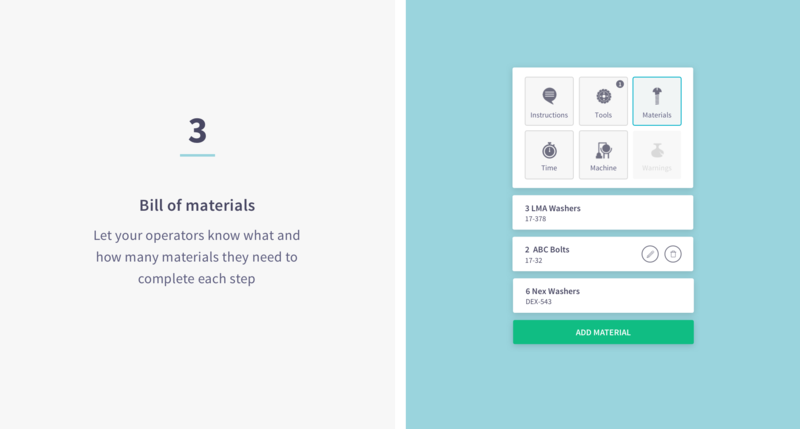 Using expected step times you will be able to see how effectively your operators are building units and set thresholds for notifications. 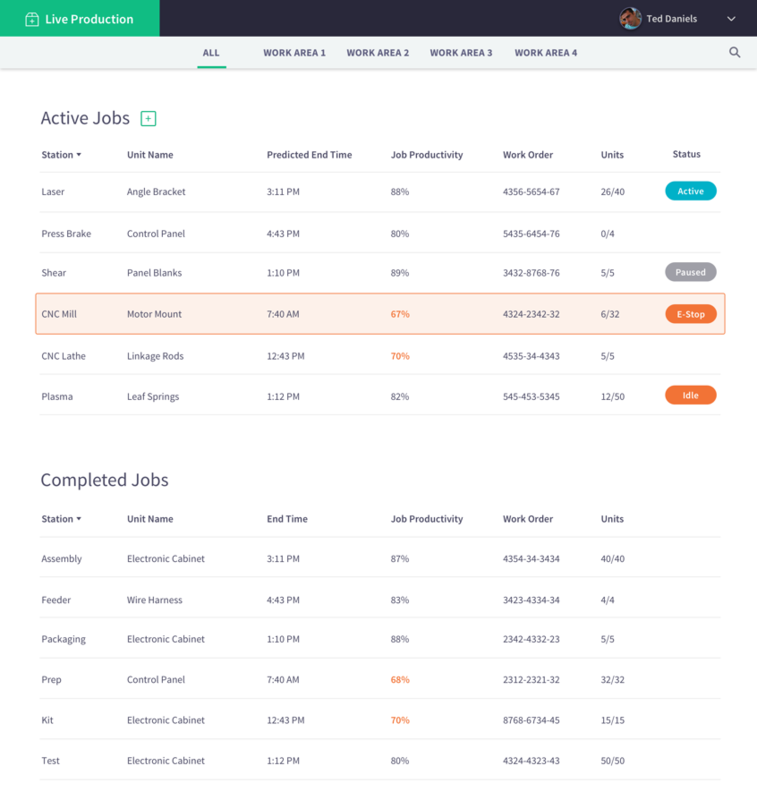 While a job is active click in to see individual unit build times, pause times, average cycle times, and specific order details. Avoid revision control headaches. The Designer web application stores straight to the cloud meaning updates are universal and edits are available instantly when published. Revision control numbering can be seen, updated and verified for each Unit. 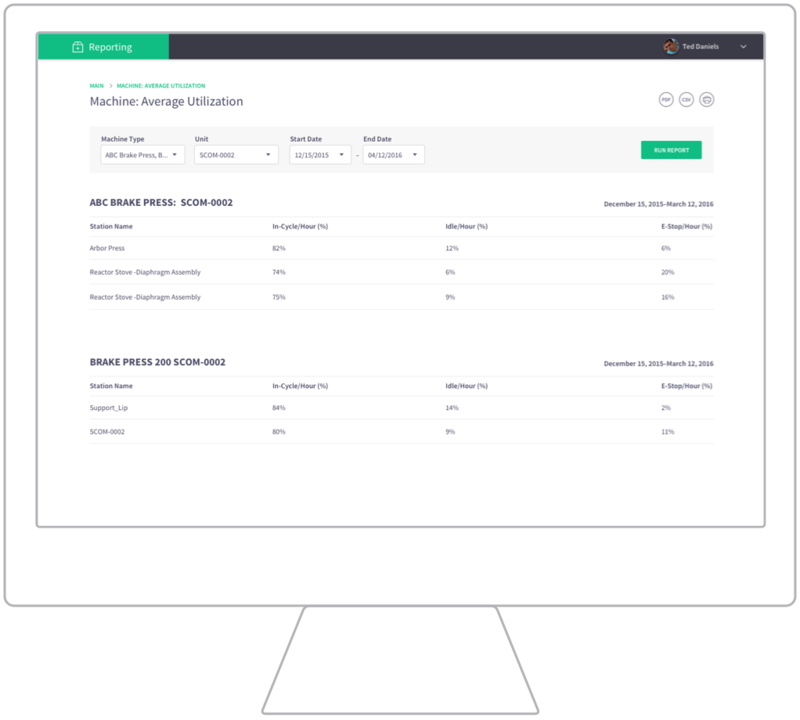 You no longer need to worry about lost paperwork, outdated instructions, or wondering if all of your operators are using the same standard process. 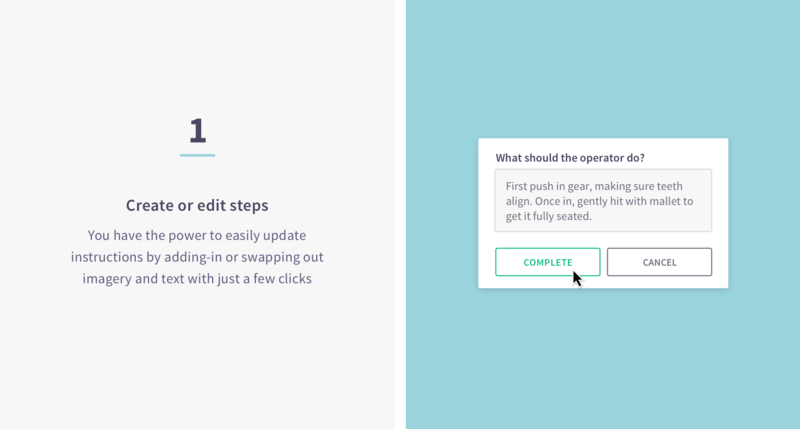 Now you can create instructions for a first article inspection, quickly edit the process, and publish the revised instructions in minutes. 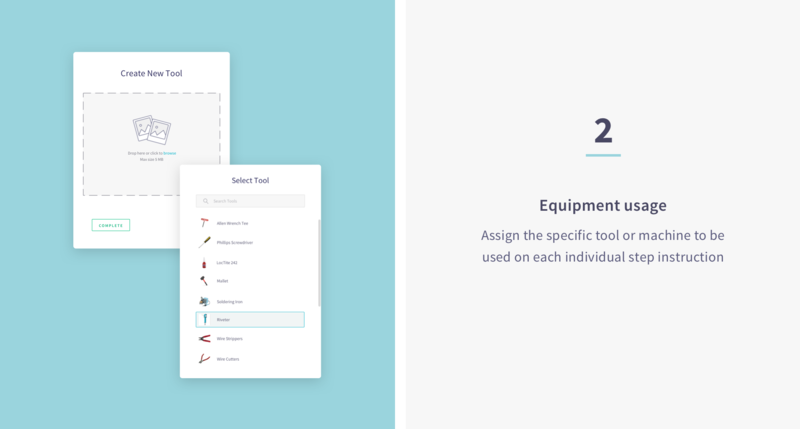 The Designer application gives you intuitive unit creation, revision control, and step development and re-ordering capability meaning it takes just minutes to have digital work instructions your operators can use.